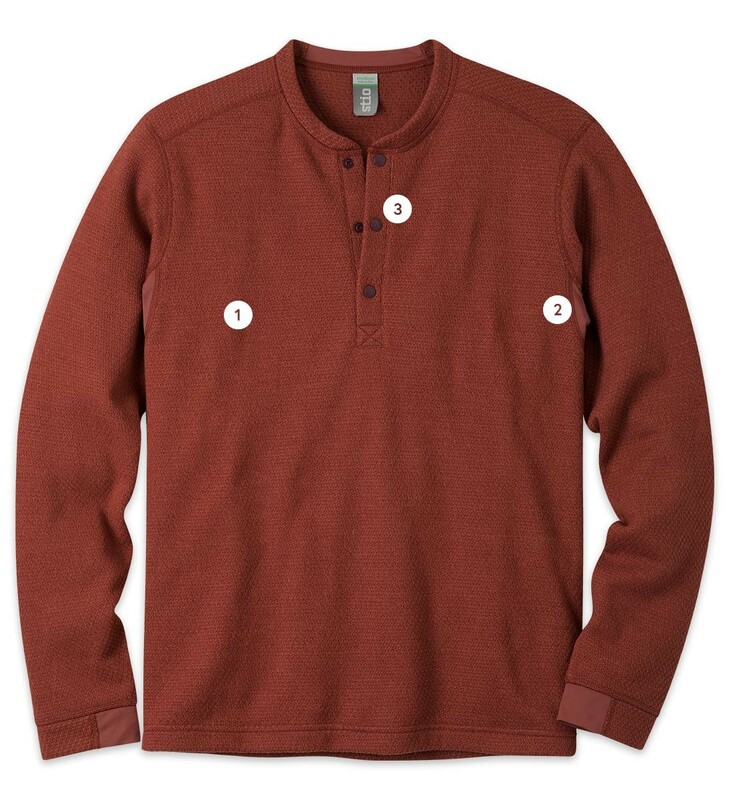 A casual Henley made with super-soft and breathable fleece fabric, the Thermop Fleece Snap Neck is the perfect cool-weather crossover layer that handles late-fall trail outings, mid-winter ski runs or a day at the office with equal aplomb. For cold days at the ski hill, chilly mornings fishing or fall afternoons at the crag, the easy-wearing Thermop Snap Neck is an ultra-comfortable waffle-knit do-it-all layering piece. The breathable, quick-drying microfleece easily subs in for a technical midlayer, and the casual styling is perfect for mellow nights downtown after a day outside. We also added stretch inserts for improved range of motion, and flatlock seams for chafe-free comfort. Stratex™ Fleece is a breathable, quick-drying waffle knit microfleece for optimal warmth without weight, resistance to piling and fast-drying, easy care. Center back length, 27 5/8"
A do-it-all, cold-weather layering piece.